keyboard cuts out entirely. you begin to wonder While this can be a hassle, particularly when you have a huge work due, there are a few things you can try yourself to get back to the job at hand all by yourself. Hold your laptop upside down or at the very least at a 45- to 75-degree angle from horizontal and give the laptop a good shake. Sometimes crumbs from working lunches or your last snack break can get stuck under the keys. This is more of a problem the older your laptop is, but it's worth a shot even on a new laptop to see if you can fix the problem quickly. 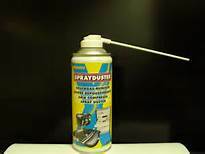 If you have a keyboard vacuum or a can of compressed air, give the nooks and crannies of your keyboard a quick cleaning. If one or two keys are stuck because of soda spillage, then you can try cleaning those individual key switches with a rag soak in a couple of drops of cleaner like rubbing alcohol or even warm soapy water. Make sure you're applying the liquid to the cloth first and not directly to the keyboard. Pop the offending key cap off the keyboard and try to clean as much dried liquid from the key switch as possible. A cotton swab can come in handy here, just be careful and don't disassemble the key switch unless you know what you're doing. If an extensive section of the keyboard is stuck because of liquid damage, like spilled cup of soda or coffee, then you best recourse may be to have the keyboard assembly replaced. A reboot corrects a thousand ails,. If you can't use the track pad or mouse to reboot the PC, just hold down the power button for about 10-15 seconds to turn the PC off. If that doesn't fix the problem, try one of the solutions below. Check the Device Manager on your laptop. If the keyboard line item has a yellow exclamation point next to it or if the keyboard icon doesn't show up at all, then you should try to get to your laptop maker's download page, then download and install the latest drivers for the keyboard. 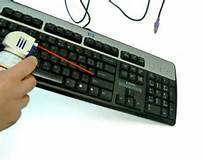 You may have to hook up a USB keyboard (see below) to navigate text entry fields, but after you find the correct file it should be a quick download and fix. If all else fails and you need to get a term paper or other word document done, stat, then find a USB desktop keyboard and plug it in. It's not elegant, but it will let you finish whatever you need to do now, then you can figure out the main problem with your laptop keyboard later. If you're still in your warranty period or have an extended warranty, then try your laptop manufacturer's tech support line. If they determine that you're using a defective keyboard, then you should be able to get it replaced at a service depot without too much hassle. Before you send your laptop in or surrender it to a service tech, however, it's always advisable to back up your hard drive or remove it entirely and hold on to it. That way you'll still have your data, which is the most important part of your laptop. Having a key on your laptop or your laptop keyboard stop working altogether doesn't mean you have to chuck your laptop altogether. You can fix it yourself if possible . But if you can't get the keyboard working after one or more of the above fixes, then get your laptop looked at by a professional.